Kevin Morton submitted these photos last night of his L639 Zenith Blue ’67 Beetle to 1967beetle.com. Sure, I used to drive my own ’67 in the winters of Atlanta, GA. However, -5° is another story! 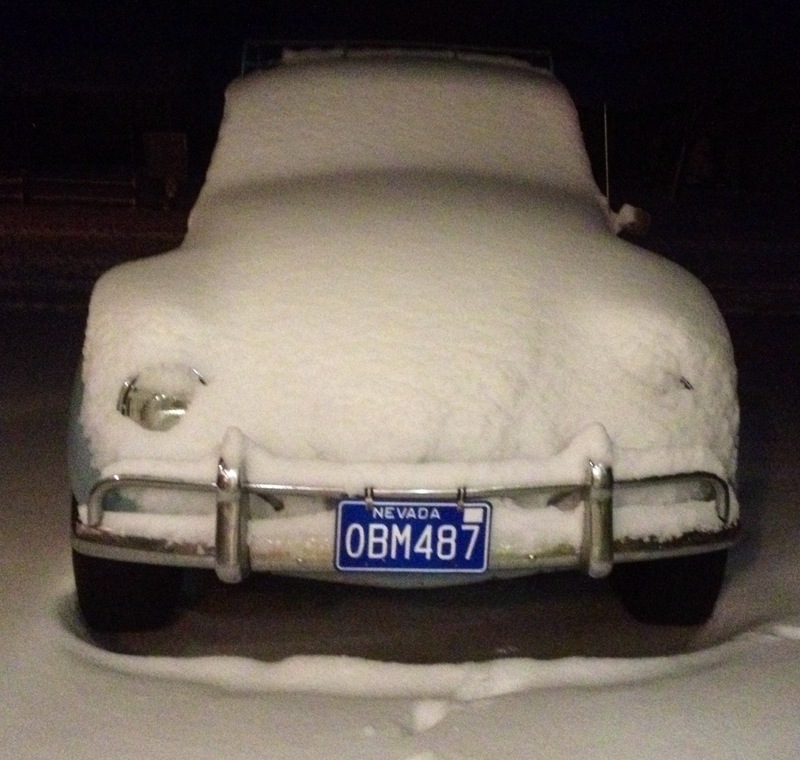 It was -5° this morning and I just had to test my ’67 Beetle. It of course started right up. I left the heater off until the heads were warmed up. About three miles into my 18 mile trip, I felt warm air coming from under the seat. I then pushed the left lever down and let the defroster take action. I had frost forming inside the cabin windows. After about 8 miles the bug was a nice ambient temperature. These heaters work well if everything is connected correctly. This 67 didn’t miss a beat. 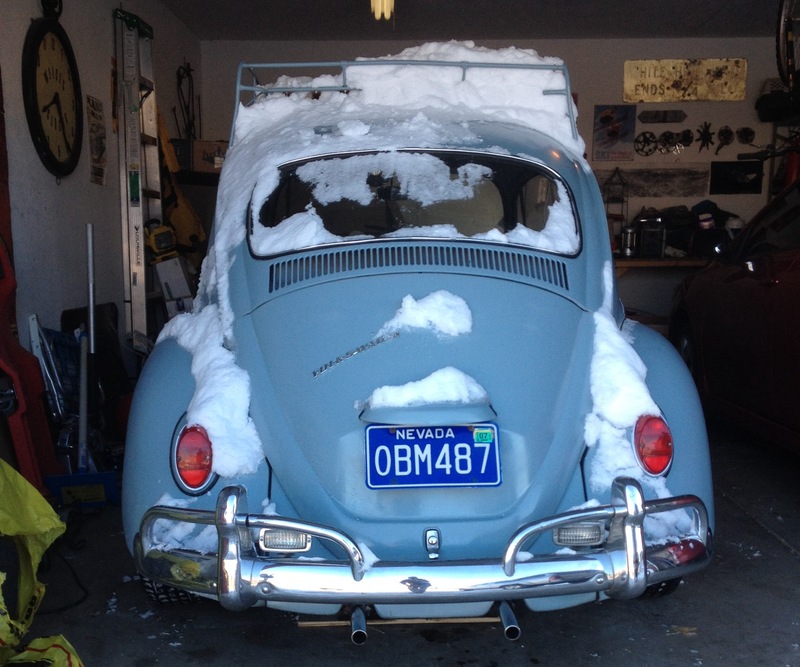 I saw several stalled cars on the road this morning but I passed them all with my 46 year old bug. My second ever car, also purchased in Idaho when I was 19, was a white ’67 Beetle. I drove it home from Lewiston to Reno, where it lived for a couple of years before It was totaled in an accident. I commuted in that car between Reno and South Lake Tahoe one winter, over Spooner Summit, in the typical Sierra blizzards, and always at night (I was a musician in the Harrah’s Tahoe orchestra.) The car never failed me, but visibility was a challenge – defroster marginal, and with no “eyelids” over the headlights, those large snowflakes in the headlight glare are near impossible to see through. But traction – never a problem. The only thing that will stop a VW in snow is when it is so deep you start plowing it with the bumper. Another great feature of VWs is the handbrake lever between the seats – very easy to use it while descending steep, icy hills to “feather” the rear brakes and keep the car pointing down the fall line! My current Porsche 356 has the twist/pull handle way up under the dash, which is useless for this purpose. Where in Nevada do you live? I drive from Dayton to Carson City. I used to live in Lake Tahoe and drive to CC. I agree with you on the defroster. It’s good to carry an ice scraper for the “inside” glass. I like the traction on these bugs, pretty amazing. That’s a neat story of yours too. It’s not so much the actual “defrost” function, but that the glass doesn’t get warm enough to prevent snow/ice accumulating outside, and the wipers can’t keep up. Hey Kevin -5 is peanuts! try -28 c . My 67 started up with 2 pumps of the gas petal. Does it not amaze up vdub owners how great our old cars are! Back in the mid-70s, I helped pay my way through college by doing a newspaper motor route (about 300 papers) in Cape Cod, MA for about four years, 7 days a week. It took about 3 hours each morning (4am -7am) and I did it the entire time in a ’67 beetle sedan. The only time the trusty bug got stuck in the snow was when I tried to plow through a snowbank and the car ended up on top of the snow with all 4 wheels off the ground. It was a struggle, but I used a small shovel and dug the snow out until she sat back on the ground. During the infamous winter storm of 1978 (over 50 inches of snow), I was out delivering papers in my beetle and saw no other vehicles but for the snowplows. I owe my college degree to that car! Such great stories! I agree. These cars were designed for cold weather. Germany! First, I am very new here, but not to beetles. I love all the story’s, helpfull information, a readers restored, and stock origional cars. I have two 67s. One actually, as my oldest daughter has one. 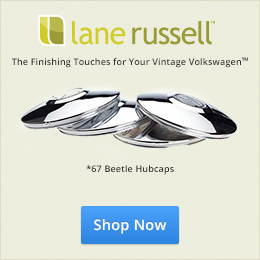 My first beetle was a modded 1969 with widened fenders, and 15″ 50 series BFG tires on rear, and 60 series up front. As I live in northern Alberta, Canada, the temp is today only -7 Celsius at 7 am this morning. – 19 cereus last week. I grew up in a town that is up, or down hill in every direction. Built in the river valley it was a challenge, and quite often a fail for vehicles to make many of the slopes in the winter months . Quite often the temp was -25 to -45 even, and Betty woke to the challenge every time over the few yrs I had her. Those tires stayed on the whole time, winter and summer. And I never lost to a hill once.. Sometimes sliding, scrapping, or chewing up the hills, but never needing to back down, or be towed. Once the heat cables were fixed, with the drivers vent window cracked just a bit, and a fan blowing on the windshield, this was my first choice ride to work, or to the closest city of Edmonton. Two hrs away. And at -40 it still was my ride. Good boots needed. lol. if my lill girls was not coming…..At -20 or warmer, with a warm blanket for her, we took it quite often just for fun, or short trips visiting friends. Traveling the hwys through snow storms, and ice that lill Betty did as well, or better staying on track than most reg chevs,dodge, and fords. The build up of fallen snow on Betty just insulated the cab some. Added weight for traction..lol. Never seemed to slow her down at all. Summer months on the job site after a rain I was always the guy who drove in, while the pick up guys parked up on the road. ( parking for wimp vehicles ) tools loaded in, and under the trunk she was a tank. Over the years of abuse Betty only ever asked for oil changes, a clutch, and a generator tune up. Clean, or changed the points every spring, and set at oil changes. And then I grew up, and matured to shoveling, boosting, towing, sliding, jacking, and replacing transmition s , differentials on the real cars with heat, and fancy seats. Leaking power steering and such… All treated the same as Betty was, in the same environment. Hmmmm, says something does it not ? 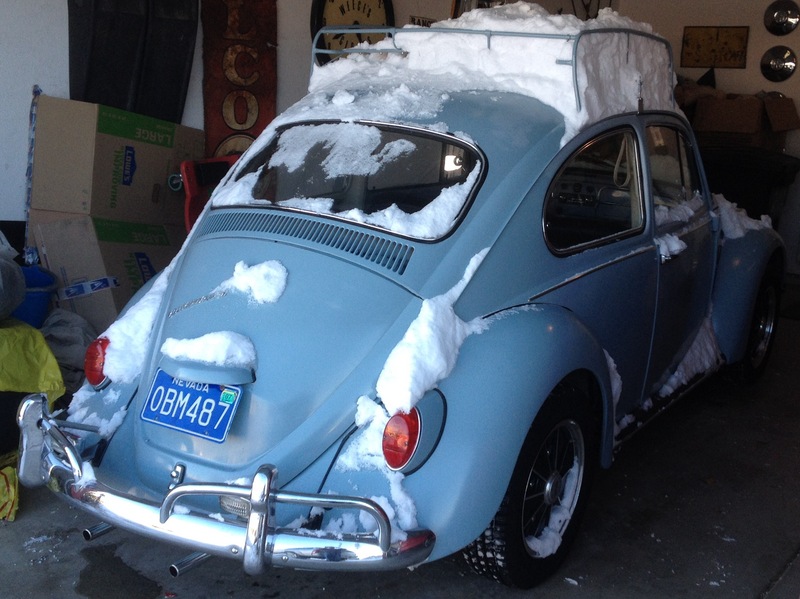 As to her limited but fond memory, and story’s of Betty, my girls first choice was a Beetle… Imagin that ? We got her going in a newer heated front drive, air bagged car first. But she’s in the Beetle world as well now, and her new world car never turns a wheel till the first fall of snow. I can’t see abusing the beetle that way now, as we value them so. Parts, and a salted world of winter sure hurts, as we can no longer pick them up for $500 ready to go. But it sure makes you think what we traded for the command start, heated seats, and navigation systems. And what ever we drive, there is a twin right beside you at every stop light. Even the parts beetle in the farmers back fourty gets more looks. Great story! Thanks for visiting us! Also. We should feature your cars! You can, if you would like. But I only have the pictures I showed you. I’m at work….. Lol, reading posts, and story’s all day. But I’m game. Iv shure learned some special info on carbs today. Great stuff. Time WELL wasted, is NEVER truly wasted.. I am very much enjoying this site. Iv got two years of info to catch up on. And about 5 articles to read. But none with us in the pics at this time. Anything else you would need ?